The 2011 Mustang first drive. The new V6 Rocks! Well, I'm jealous. 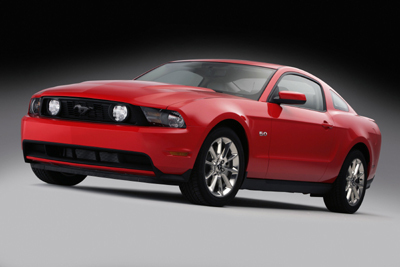 Motor trend got a 2011 Mustang first drive... or should I say, a first ride. Nonetheless, what you'll see so far, is that the new 305 horsepower V6 is going to become a very welcomed addition to the Ford Mustang lineup. Where the 2010 and earlier V6 engine, with its recent to the 2005 vintage, 210 horsepower engine was a welcome addition to the pedestrian versions before it, the output simply went from abysmal to adequate. Fortunately the aftermarket performance companies have helped to take the term Mustang V6 performance from an oxymoron to a reality, with more aggressive rear gears, super charger kits and turbo kits, as well as headers, cold air induction, super chips and other traditional hot rodding methods. The real fun out of the box for the V6 Mustang is called the 2011 Mustang and it's up to the challenges of producing real performance and helping us forget about previous V6 offerings. 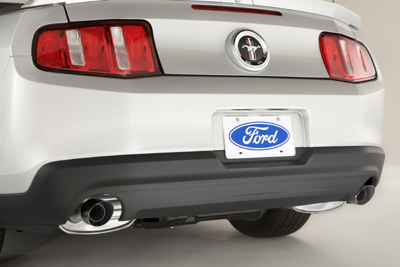 While the test ride didn't allow any firm numbers, when compared to the V6 Challenger and Chevy's new V6 Camaro, it did help demonstrate some of the reasons that Ford engineers are puffing out their shirts when talking about the new 2011 Ford Mustang. Interestingly, this new engine, drive train combination has other benefits. Gas mileage increases from the 2010 V6 car's 18 city/26 highway, to 18/29 for the manual transmission and in an unusual feat, a better yet 19/30 mpg for the automatic 6 speed cars. Ford also has plans to ad an additional Performance package, similar to the V8 Mustang GT package, and includes a 3.31 axle ratio, up from the base 2.73:1 gear. the past few years, plus the better quality dash and door materials, added to the great sounding and performing new engine and drive train spells F-U-N ! This should be an interesting year this year for the race for the car of the year award. Latest news out on how the new Mustang runs on the street and strip, is that a recent 0-60 mphrun in the 5.0 liter Mustang is around 4.5 seconds!